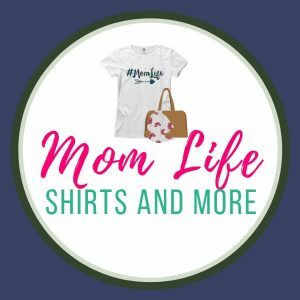 Tips for sleeping better as a parent. Tomorrow Sleep Mattress Review down below! The sun has set, the kids are tucked in bed, and you’re finally done watching that show you waited three days to watch. It’s getting late, and you know at some point, one of the munchkins is going to awaken you out of a slumber to ask you why the grass is green, so you decide to head to bed. Jammies on, or, if you’re like me, t-shirt and shorts on, teeth brushed, smartphone plugged in, alarm set. One last check of the kiddos, and you’re off to your room. and down you go on your mattress. Except, it’s the worst mattress in the world. 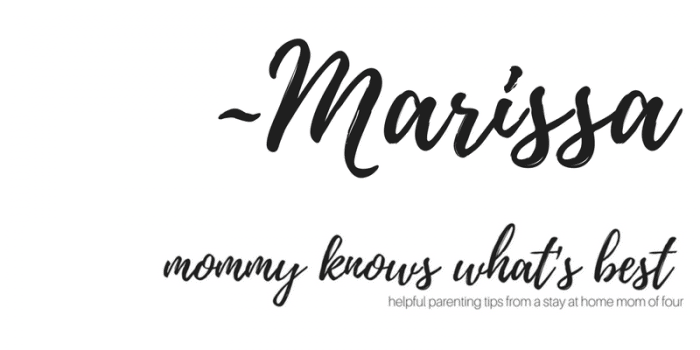 You toss and turn, toss and turn, and just when you’re too tired to toss and turn again, munchkin #1 is poking you in the forehead with their question while munchkin #2 wails from the crib. Why put yourself through that misery every night? Wouldn’t you rather at least get some sleep on a comfortable mattress before the littles wake you up? I have been there, and my husband along with me. Our first mattress, one that we had for 10 years, was just the worst. Every morning we would wake up sore and exhausted. Our backs, our necks, our legs…everything hurt! Having a high quality mattress is a must-have to get better sleep. We decided to go mattress shopping. When we went mattress shopping, we decided to try a memory foam mattress. 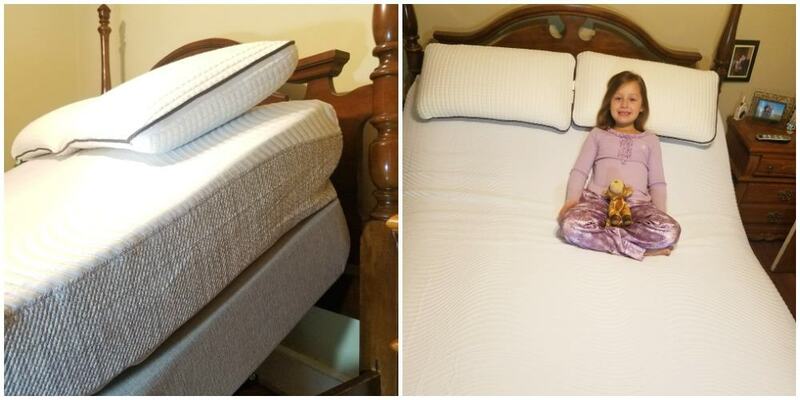 After much deliberation and dragging our kids all over the creation to try out beds, we decided on a particular memory foam one and also on an adjustable bed frame. It was like magic. The bed, I mean. While the first few nights were rough adjusting to a new bed, it was a huge difference between our last mattress and this one. While still kinda too firm for me, it was a big improvement and our quality of sleep changed. 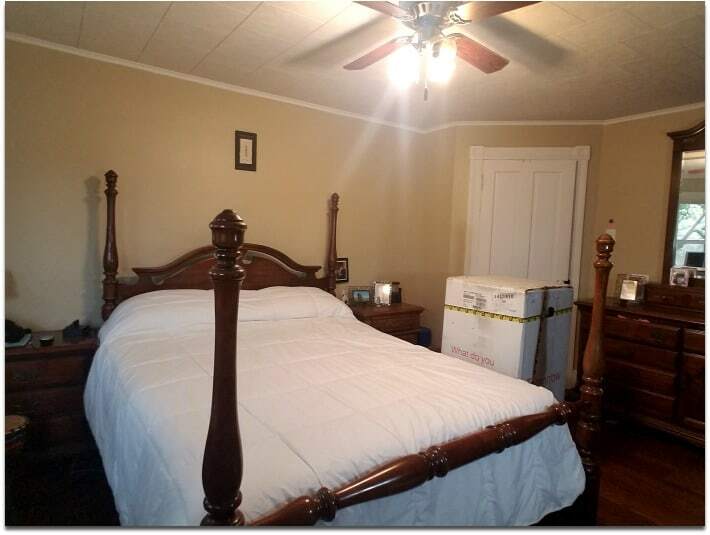 Getting the bed, however, wasn’t as magical. Negotiating with salesmen who followed us around EVERYWHERE. Added fees here and there. Waiting for the delivery men. Having strangers enter our home and into our bedroom, which to me is an invasion of privacy, necessary as it was. THAT was what exhausted me. I sincerely wish we had done more research looking for a memory foam mattress online. Sure, it’s scary to order a mattress online without having tried it first, but so many people are ordering mattresses online now and the majority of the reviews are very positive. There’s an upside: most of the time, there’s no need for a separate delivery service to bring the mattress in. A delivery truck drops off the memory foam mattress at your front door. That’s it! My favorite part about shopping online for a mattress would be not having to leave the comfort of my home or having any salesmen follow my every move. Wouldn’t that be a bonus for you too? I was intrigued when I got an email a few months back about trying out “the best hybrid mattress” available online, the Tomorrow Sleep Memory Foam Hybrid Mattress. 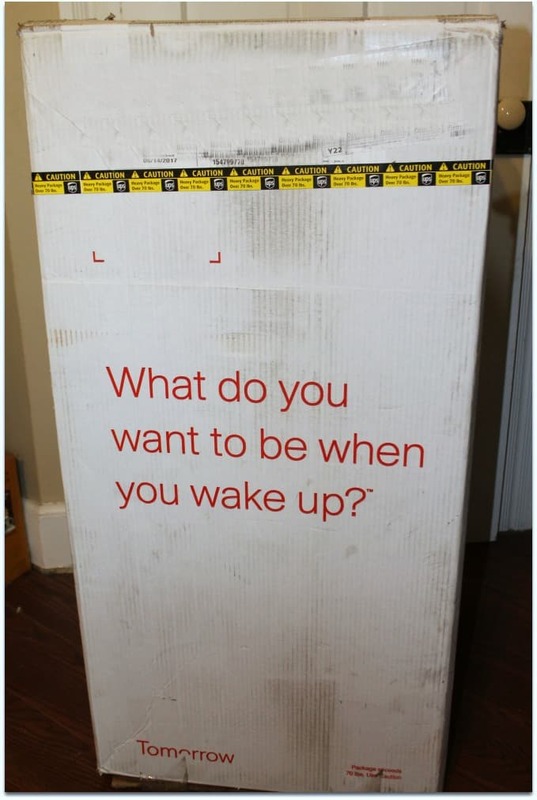 A memory foam bed combined with a coil system and all of those layers that could be delivered in a box on my porch in just 2-3 days with free shipping? Intrigued indeed! After some deliberations with my husband, I decided to go ahead with the review. 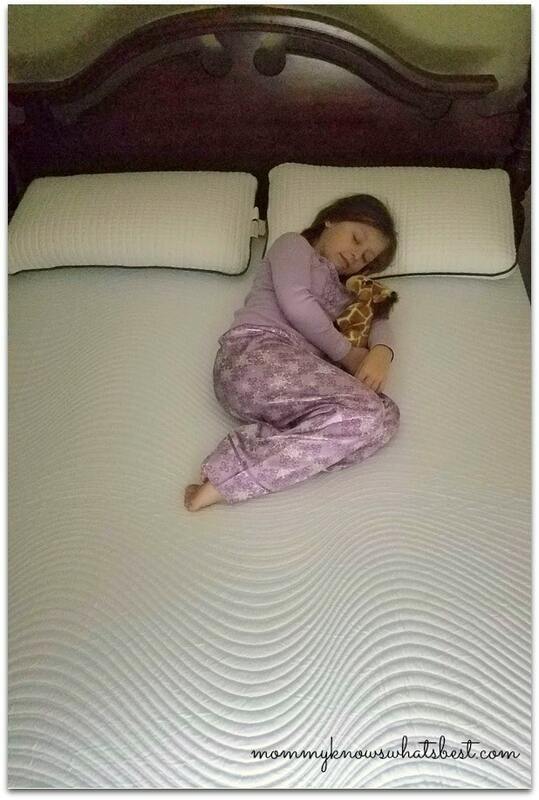 Tomorrow Sleep sent me their Memory Foam Hybrid Mattress for this review. The Tomorrow Sleep Memory Foam Hybrid Mattress actually comes folded and rolled in a box. That’s right; it’s delivered right to your home! The mattress inside of the box is compressed inside of the box and expands once opened. Be advised: it’s a heavy box! The queen size mattress weighs almost 110lbs. I was able to get it inside of my home and up my stairs myself, but it would have probably been a lot easier with someone’s help. Carefully cut away first layer of plastic. Lay mattress on the mattress box, and unfold. Carefully cut away final layer of plastic. That’s it! Once the final layer is removed, the bed starts to decompress on its own. After about 15 minutes, it seemed that the mattress was decompressed, but not fully. 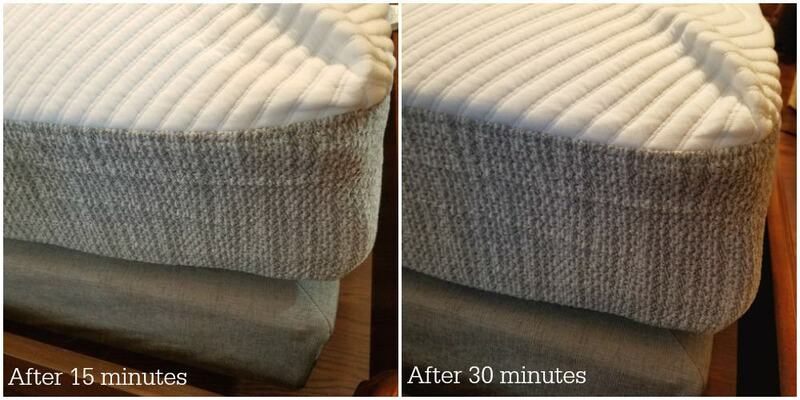 It took a solid 30+ minutes before I was convinced that the mattress was completely finished decompressing. You can see in the images below the slight difference after 15 minutes and after 30 minutes. It wasn’t as thick as my previous memory foam mattress. Other than thickness, it looked like any other memory foam mattress you would see in a store. I actually unzipped the mattress cover to see inside. Without cutting it open, I wasn’t able to see exactly what was in there, but I could feel the different layers. Does the Tomorrow Sleep Mattress Work on an Adjustable Frame? Yes! 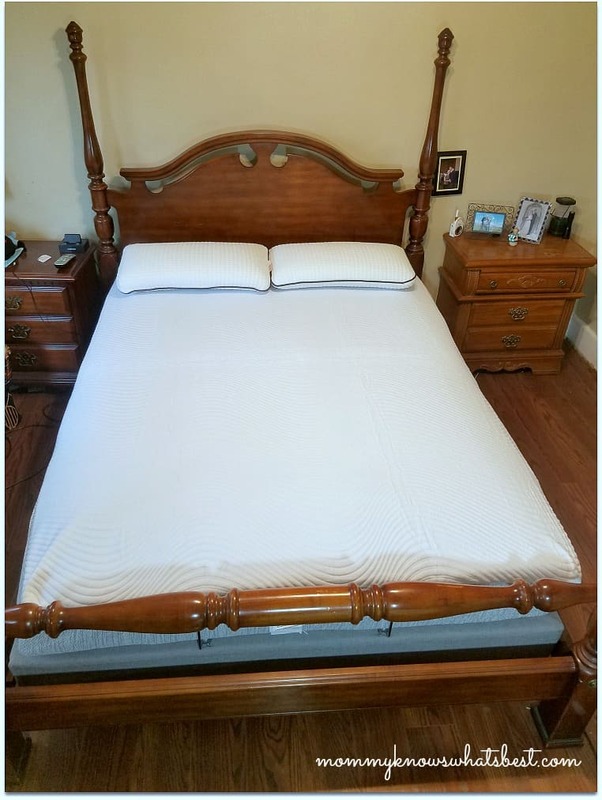 It was a concern of mine since we like our adjustable frame, but the mattress does indeed work with adjustable frames. Is the Tomorrow Sleep Mattress Comfortable? The mattress feels like it is cradling your body without sinking in too deeply. This is the medium firm memory foam, so it didn’t feel too soft and actually took a few nights to get used to, as is common when getting a new memory foam mattress. The memory foam actually fills back in pretty quickly once you move out of a spot. I didn’t find that to be true of my other memory foam mattress, so that was a big plus for me. Someone who was testing out the bed with me the first day got a little sleepy since she was so comfy! She NEVER falls asleep this quickly in her own bed (she’s my worst sleeper out of all four kids), so maybe I should look into a new mattress for her too! 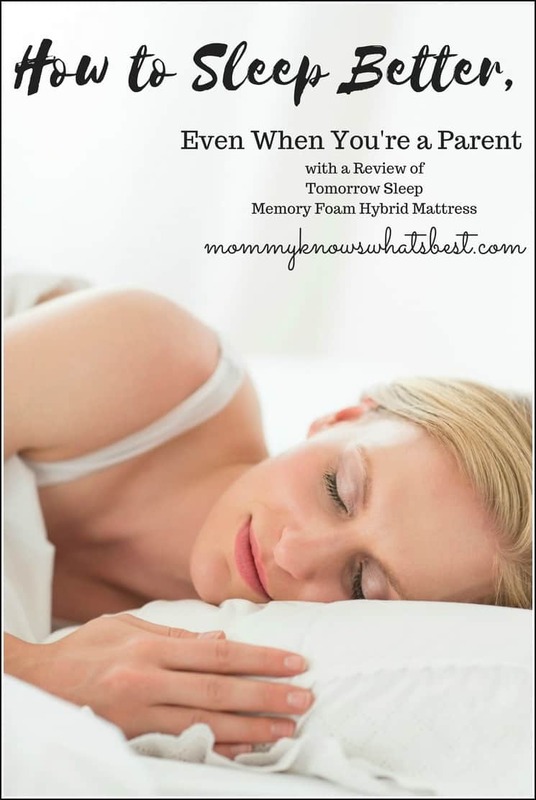 Would I recommend the Tomorrow Sleep Memory Foam Hybrid Mattress? Yes! It’s easy to order and have delivered to your home. 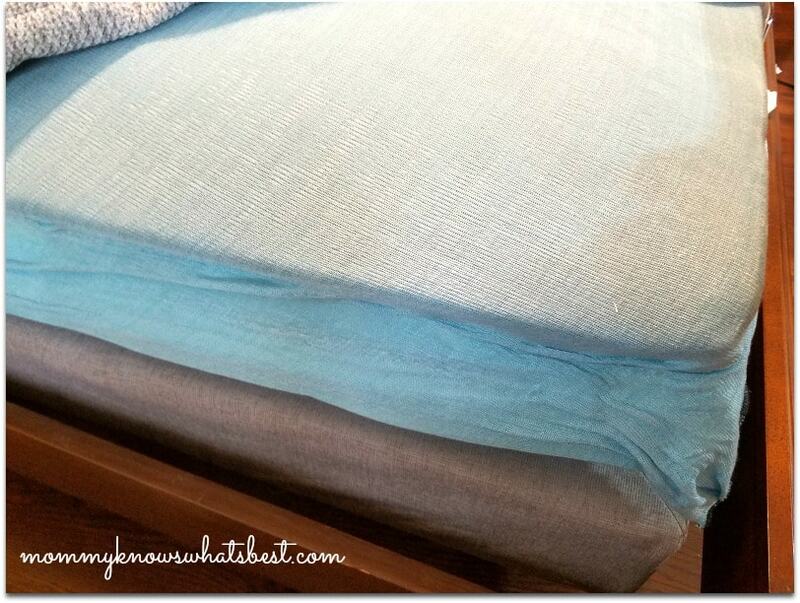 It’s comfortable and may help you sleep better, even if the munchkins wake you up at night. 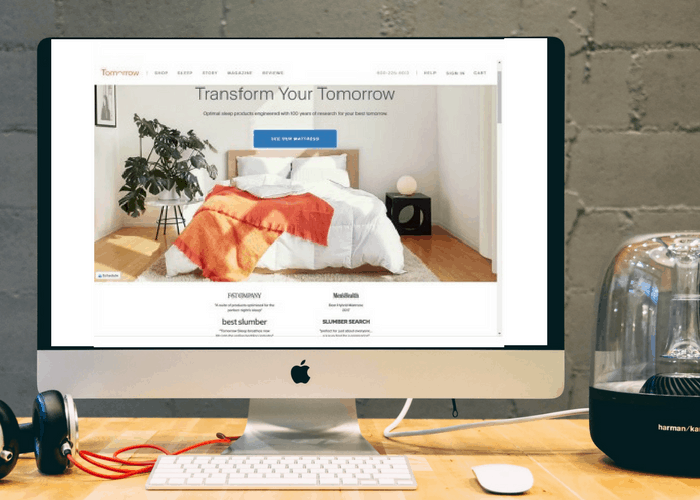 Want to try the Tomorrow Sleep Mattress and want to save money? Save $150 off any $500 purchase by using code BEST150 here (expires 12/31/17). Tomorrow Sleep is more than just a mattress company. They developed their innovative sleep system because they know that having the right tools can make all the difference in experiencing good sleep. What do you think? Would a new mattress help you sleep better at night? Having a good mattress and cutting down on anything with caffeine in it helps me sleep better. A new mattress will definitely help me sleep better. I love the tips you shared! I really need to do all these things, especially caffeine and electronics. A good mattress means so much too!! I like the 100 night trial and warranty! This looks amazing! A comfy place to sleep makes all the difference in the quality of sleep you get. This looks a good option. We desperately need new mattress and keep putting it off. We have been looking for a new mattress and just haven’t found one we really like. Going to go and check out this out for sure. Our mattress is horrible. I hate it, so yes I think a new mattress would help me sleep better. And, the other tips would also be great for me to try. A good nights sleep is so important! This sounds awesome! I think is the key for me to be a happy healthy Mommy , I bought our last mattress online it was so much easier. Ive been researching what mattress I want. Thanks. A good night’s sleep is so important for good health. A new mattress always helps me sleep better. Thank you for sharing! Thank you for the tips. We had to get a new mattress because our old mattress was hurting our back. A high quality mattress is definitely so important. Thank you for this review. It is nice to know that this mattress works on an adjustable frame.